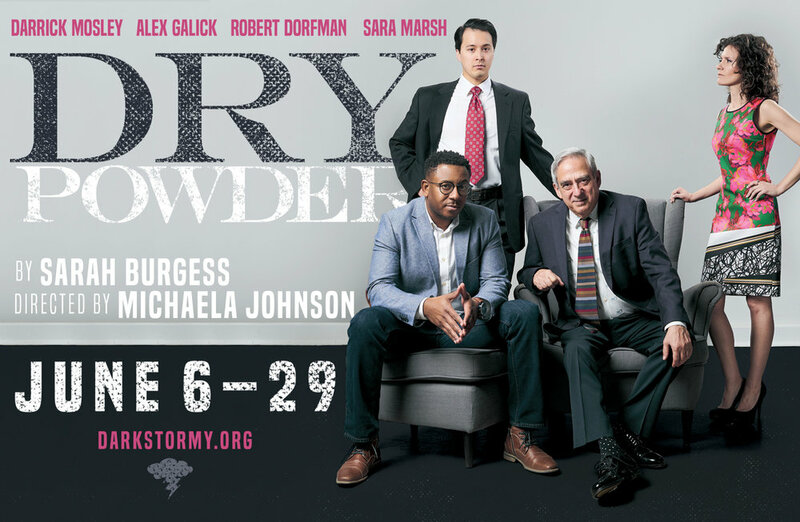 Don’t miss this stellar cast in Dry Powder, a lacerating dark comedy about power, wealth, public image, and the moral and ethical stakes of closing the deal, set against the fast-paced backdrop of a powerful private equity firm in a massive public relations crisis. Please Note: All performances start at 8pm. Doors open at 7:30pm. There is no late admittance or seating for Dry Powder. Please note: due to our intimate house size, Dark & Stormy does not offer refunds. however, if you email tickets@darkstormy.org a minimum of 48 hours prior to the performance, we will make every effort to exchange your tickets for another evening.